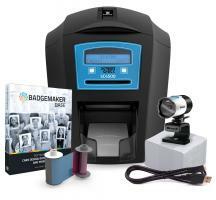 Dual sided photo ID systems are comprehensive bundles that will help you print dual sided badges within minutes. 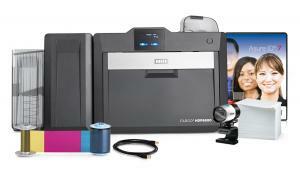 Each dual sided photo ID system includes a dual sided ID card printer, ID card software, web camera, color ribbon, and PVC cards. 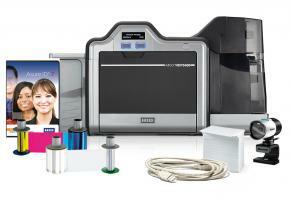 Large selection of dual sided photo ID systems from leading brands such as Zebra, Evolis, Fargo, Datacard, and Magicard. 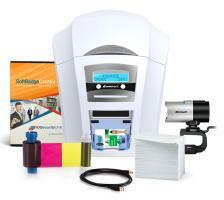 Price match guarantee and free shipping on all photo ID systems. 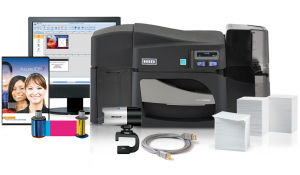 WHAT�S INCLUDED IN DUPLEX PHOTO ID SYSTEMS? 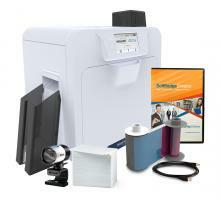 All our duplex photo ID systems come with everything that you need to issue high-quality cards and badges on demand. 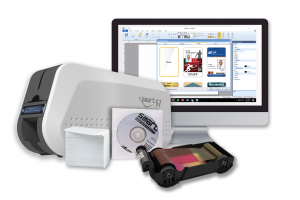 With our duplex photo ID systems, you won�t have to worry about choosing the wrong ribbon or software for your applications. It even gets better since buying each item separately would cost more than our bundles. 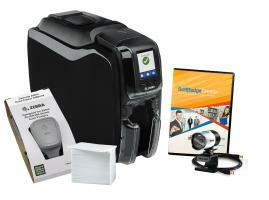 HOW DO I CHOOSE THE RIGHT DUPLEX PHOTO ID SYSTEM? 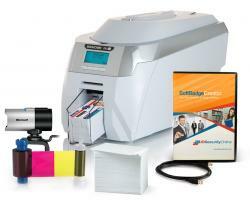 To reduce the risk of counterfeiting or tampering, go with laminated cards. Adding a clear or custom layer of protection to your cards will help you create highly-secure badges. 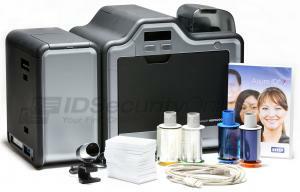 We offer duplex photo ID systems with lamination for maximum security. 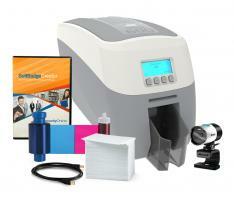 Some of our duplex photo ID systems come with a retransfer card printer. 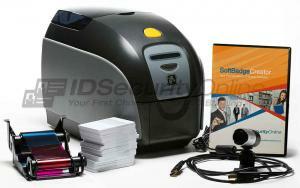 Retransfer ID card printers use a different printing process to print ID cards. 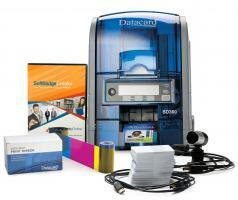 The card images are printed onto a clear film called retransfer film that is then fused onto the surface of the card. 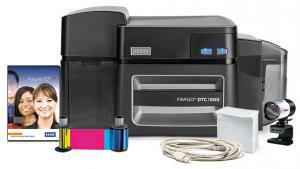 This process allows you to print �over the edge� of your cards, which means that you won�t have a white border around your printed cards. The result is stunning: superb, vivid colors for high-quality badges. 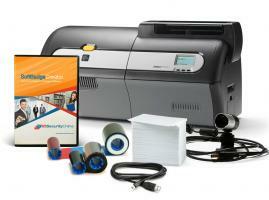 Will your printer be on a network? 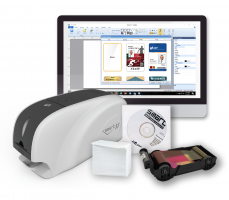 All dual-sided photo ID systems come with USB connection but if your printer will be on a network, don�t forget to select a printer with Ethernet connectivity. Some printers even offer Ethernet as standard. Do you need Mac drivers? 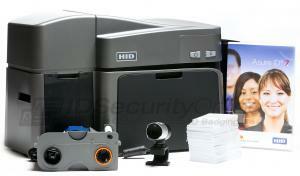 Make sure that the dual-sided photo ID system that you select is compatible with the operating system that you use, especially if you are using a brand new computer or if you are using a Mac. 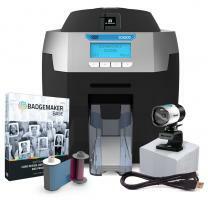 All our duplex photo ID systems will allow you to print high-quality badges for all your applications. 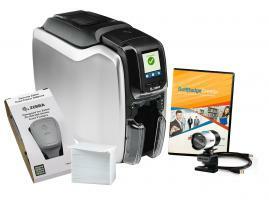 Here are a few examples of the most popular uses for ID cards.